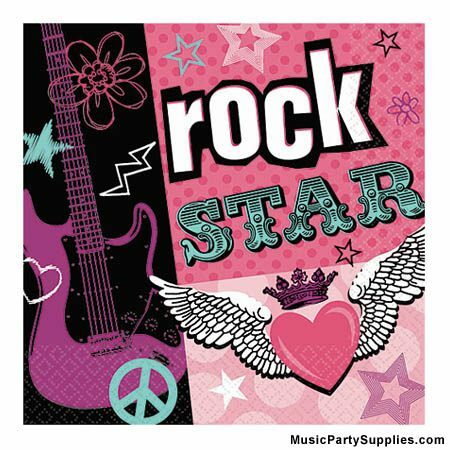 Rocker Girl Napkins – Luncheon –Clearance! Throw a rockin’ party with some awesome music napkins! These Rocker Girl Napkins will make any music event rock. The design is sharp and edgy with artistic design elements centering on a Rock music theme for girls! These party napkins will be a great addition to any music party decorations. 2 Ply Paper Napkins. Made in USA. Approx. 6.5″ x 6.5″ (folded). Set of 16. Also, check out this style in the smaller, Rocker Girl Beverage Napkins!